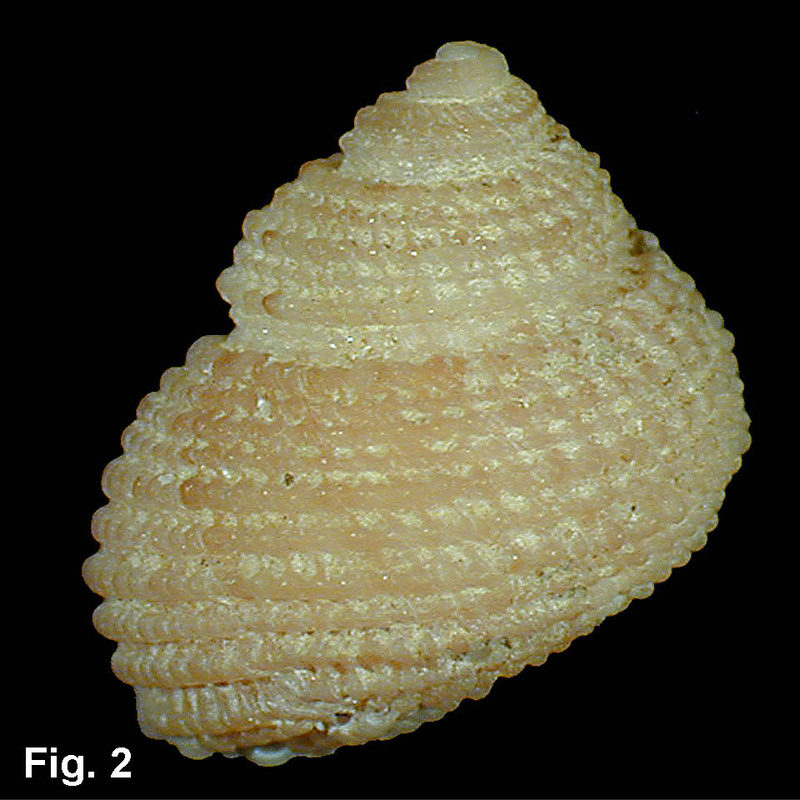 Description: Whorls rounded, suture impressed; sculptured with strongly beaded spiral ribs, 3-5 on penultimate whorl and 9-13 on body whorl; beads joined by oblique axial lamellae. Inner margin of outer lip thickened, with about 12 teeth; aperture strongly lirate. Columella smooth on upper three-quarters; two strong teeth at base, separated by deep groove. Umbilicus open, partly covered by columellar callus. Colour fawn, umbilicus white. Interior nacreous. 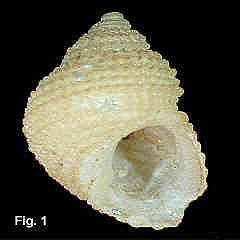 Size: Up to 5 mm high. Distribution: Endemic to Australia; Port Stephens, NSW, to Spencer Gulf, SA. Habitat: Low tide level down to 300 m. Uncommon. Comparison: This is like a miniature version of Herpetopoma aspersa, but readily separated by the open umbilicus.